Portland was a prosperous and expanding city in the late 19th century. Many fine quality homes were built in this period. Unfortunately, many of them were demolished to make way for the expansion of the prosperous downtown. Still others fell victim to changes in fashion or land use. But having said all this, Portland still has a remarkable legacy of standing Victorian-era homes — most of them well maintained, and most with original (or near-original) exteriors. Prominent Irvington landmark displays Queen Anne turret and wrap-around porch. 1890 home on Mount Tabor combines elements of Queen Anne, Eastlake, and Italianate styles. Eastlake details on Northwest Portland home. 1880s houses in Northwest Portland’s Alphabet District show Eastlake details. Houses in Northwest Portland’s Alphabet District show Eastlake and Gothic ornamentation. 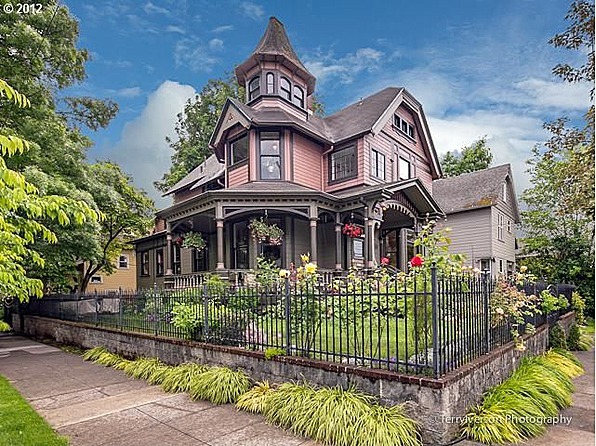 The first place to seek out Victorian houses in Portland is the Alphabet District of Northwest (so named because the street names progress in alphabetical order from south to north). Boundaries of this officially designated historic district are (roughly) Northwest Burnside, Northwest 16th, Northwest Nicolai, and Northwest 24th. A stroll through virtually any part of this neighborhood will reveal many handsome Victorian buildings. The district includes the popular shopping/restaurant streets of Northwest 21st and Northwest 23rd. A pleasant summer’s evening will find many after-dinner strollers admiring the old houses on residential side streets. 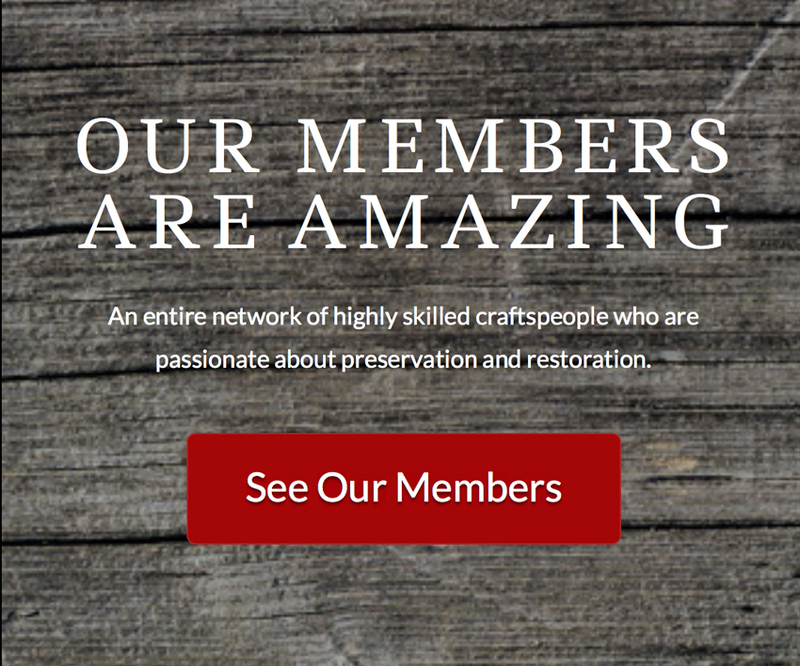 For many, this activity is as enjoyable as a concert or a movie — and it’s absolutely free! The Alphabet District was subdivided in 1865 by landowner Captain John Couch (yes, that’s pronounced “Cooch”). His original development included many block-long parcels for Victorian mansions with spacious grounds. These were later re-subdivided into smaller urban parcels. Late-Victorian houses were often built on these smaller lots. Many remain today. The names of east-west streets were originally merely the letters of the alphabet (B Street, C Street, etc.). In 1891 the city council assigned the present-day alphabetical names to the street system (that is, Burnside, Couch, etc.). Other inner-city residential neighborhoods surrounding downtown likewise contain a wealth of Victorians. Goose Hollow has quite a few. Lair Hill has even more. The land around the base of Lair Hill is now developed with high-rise residential towers. Before 1958 this area was a thriving urban neighborhood containing active Jewish, Irish, and Italian communities. Though well intentioned, the South Portland Urban Renewal District destroyed more Victorian buildings than any other 20th-century endeavor (with the possible exception of the Coliseum/Rose Quarter district on the east side). Today, Lair Hill’s Victorians (and other old house styles) serve as a testament to what-might-have-been in the adjoining South Portland neighborhood. Pockets of Victorians are found in the east side — often in surprising places. In 1887 the (first) Morrison Street Bridge opened up vast stretches of land for development. Up until then, the hills and the river provided a de-facto urban growth boundary restricting development to the (mostly) flat plain on the west side of the river. In 1888 a streetcar line opened on the bridge that extended to the Sunnyside development on Southeast Belmont Street near 39th. One year after that, a steam railway continued the journey up Hawthorne Boulevard to the base of Mount Tabor. This is why it’s possible to find Victorians in the Belmont/Hawthorne corridor that are miles away from downtown. At the same time, other eastside areas closer in remained farmland for some years to come due to limited transit access. Much of the east side had to wait for the development of the automobile (and more bridges) to become part of urban Portland. Still other Victorian houses can be found in Portland neighborhoods that were once separate communities. The community of Sellwood was founded in 1882. The original town leaders set out to make their community a serious rival to Portland. Many Victorian houses were constructed in this early surge of civic pride. Sellwood was later annexed by Portland in 1893, but neighborhood economic activity and building continued. Brooklyn is another Portland neighborhood that was formerly a separate community. Giddeon Tibbets built a family home and a grist mill on his Brookland land claim of 1851. In 1868 he subdivided his property into small lots and persuaded the Oregon Central Railway to locate there. In the 1890s a flood of German immigrants settled in the community. Many Victorian residences (and even some German businesses!) remain in this very interesting Portland neighborhood. The search for Victorians should not be limited to Portland. Nearly every Oregon community that was founded before 1900 has many remaining Victorian buildings. Places like Astoria and Jacksonville are obvious choices, but poking around anywhere in the Willamette Valley will usually result in unsuspected Victorian surprises. Woodburn has the magnificent Settlemier house that is open for tours (see “The Settlemier House,” Northwest Renovation magazine, June/July 2007; visit http://nwrenovation.com/design/the-settlemier-house). Also, don’t forget our neighbor to the north. In addition to Victorians in Vancouver’s oldest residential districts, the Officer’s Row in Fort Vancouver contains one of the largest concentrations of fine Victorian houses on the West Coast. Many are available for tours, and some have restaurants and businesses that welcome browsing customers. Happy Hunting!